African vacations make it possible to discover the magic of the African continent, from crystal blue beaches with pearly white sands, great lakes, jaw-dropping flora, snowcapped mountains to majestic wildlife by the thousands in their natural habitat. Since Africa is vast, most people embarking on a holiday in Africa for the first time often wonder which destination they should visit. If you want to encounter wild animals in their turf and on their terms, then regions that are popular with African safaris ought to be high on your bucket list, namely, East Africa and Southern Africa. Countries that are popular with safaris in East Africa are Kenya, Tanzania and Uganda. Countries that are popular with African safaris in Southern Africa are Botswana, South Africa, Namibia, Zambia and Zimbabwe. Beach lovers can enjoy some downtime in destinations such as Kenya, Tanzania and South Africa. Activities during a beach holiday include sun bathing and high octane options such as wind surfing, kite surfing, snorkelling, deep sea fishing and kayaking. Other countries that are popular with beach vacations include Mauritius, Seychelles, Mozambique and Egypt. An ideal all-year-round destination, Kenya has all the ingredients for a truly magical and memorable 5 star holiday. It is here that the concept of safari was born at the beginning of the 20th century when professional hunters took clients on hunting expeditions. Some very important ones like President Theodore Roosevelt. Today hunting is banned and the only shooting allowed is with your camera. The travel experience has much improved with direct flights from most countries and accommodation in comfortable lodges equipped with mod cons and excellent hospitality. Some of the must-see destinations include Masai Mara with its abundant wildlife and birdlife, Amboseli, Samburu and Mount Kenya. Travellers can embark on hot-air ballon safaris, safari walks, cultural safaris and go siteseeing. The Kenyan coast is a stretch of pristine sandy beaches that roll gently into the sparkling blue Indian Ocean, providing a perfect place to relax after an action-packed African safari. See the popular package holidays to Kenya. 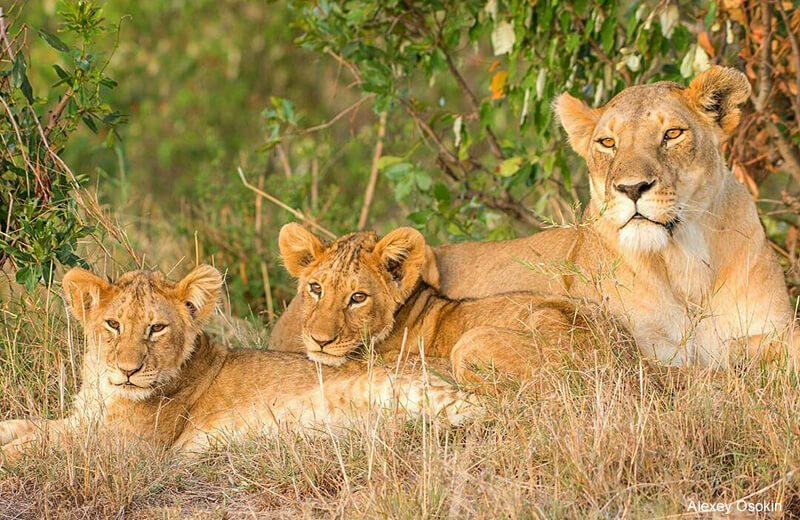 Tanzania is one of Africa’s most sort after wildlife safaris destinations. It packs a visual punch with landscapes ranging from idyllic Indian Ocean beaches and alkaline lakes to wide-open savannahs and the continent’s highest mountain – Mount Kilimanjaro. Mount Kilimanjaro attracts more than 30,000 climbers each year attempting to reach the mountain’s highest peak, Uhuru Peak (5,895 m). There are all-inclusive Kili trekking tours via the popular trekking routes. The Northern parks offer one of the best classical safaris especially when timed with the migration (seasonal) between November and May. The Northern parks comprise of the Serengeti, Ngorongoro Conservation Area, Tarangire and Lake Manyara. The southernly parks are remote and are therefore recommend for experienced safari-goers, they include Selous Game Reserve, Mahale NP and Gombe NP. The exotic islands of Zanzibar and Pemba, with their Arabian influence and white sandy beaches offer the perfect holiday under the tropical sun. Here are the popular Africa holidays in Tanzania. Uganda enable you to experience wildlife viewing in both forest and savanna. The East African country is home to more than fifty percent of the world’s population of mountain gorillas. According to World Wide Fund for nature there are currently about 800 mountain gorillas left in the wild. The primates can be seen in Bwindi Impenetrable Forest, Volcanoes National Park and Mgahinga Gorilla National Park. Much of the highlands of these parks is covered in lush rainforest and bamboo – a favourite snack of the gorillas. After a trek to see the annimals most travellers visit Karisoke Research Centre to learn more about the ongoing work to protect mountain gorillas. The centre was founded by Dr. Dian Fossey in 1967. Both Murchison Falls NP and Queen Elizabeth NP offer wonderful savanna safaris with good wildlife viewing, however, animals are not as abundant compared to the top parks of Kenya and Tanzania. Other activities include bird watching and chimp trekking. See the popular Africa holidays in Uganda. Botswana is ideal for those seeking more than the Big Five. It offers the perfect opportunity to head off the beaten track. The county’s emphasis on low-impact tourism results in a true wilderness African safari experience. The evergreen Okavango Delta is best explored in a mokoro – a traditional canoe. Other attractions include Chobe National Park, home to huge herds of African elephants and many predators. The downside is that holidays in Botswana are costly with few budget options. See the popular African vacations in Botswana. South Africa holidays appeal to backpackers, adventurists, honeymoon couples and families. The country offers good infrastructure, lively cities, mountain landscapes, golden beaches and nature reserves. Kruger National Park is the flagship park and all the Big Five can be seen. Other nature parks include Hluhluwe-Imfolozi, Phinda, Mala Mala and Shamwari. Less well-known adventures in South Africa include the scenery and battlefields of KwaZulu Natal, winery tours and the fascinating blend of cultures in Gauteng. The downside is that African safari holidays in South Africa have less wilderness appeal because the national parks and reserves are fenced. See the popular South Africa Holiday packages. Zambia shares with the neighbouring Zimbabwe several of the major attractions in the region including the Zambezi River, Lower Zambezi National park, Lake Kariba and Victoria Falls. Victoria Falls is among the eight wonders of the world. The 355 feet high falls are also known by the native name Mosi-oa-tunya, ‘the smoke that thunders’. Visitors can marvel at huge clouds of spray rising up into the air as six spectacular waterfalls plummet to the chasm below. Other activities include bungee jumping, swimming and canoeing. One can also explore the falls on a helicopter. Bird watching is also excellent. See the popular African vacations in Zambia and Zimbabwe.